Think about the last time you walked past the window of a brick-and-mortar store, stopped immediately in your tracks on the sidewalk, and, without hesitation, walked through that business’s front door… despite the fact that you were in the midst of running another errand entirely. That’s the kind of response you want your site visitors to have when they land on your online shop homepage. So think about it: Was it the way a particular product was positioned? Was it the way two products were juxtaposed, suggesting that the store could offer you something in the way of a curated shopping experience? Was it the text on that sale sign in the window (urgent language, exclamation points)? 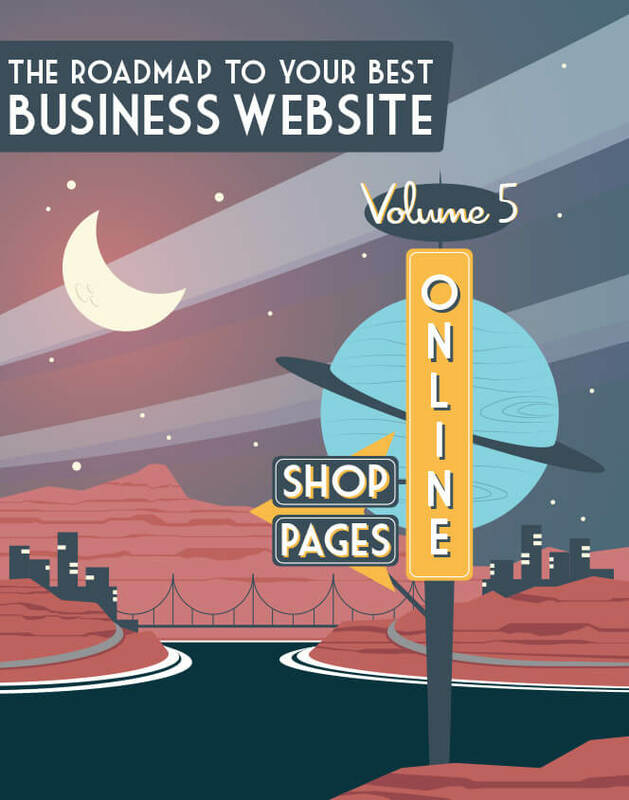 Your online shop homepage is an analogue to that store window… except that your prospects may decide whether or not they’re interested in your online offering in even less time (50 milliseconds or less) than it would take them to walk past a storefront. 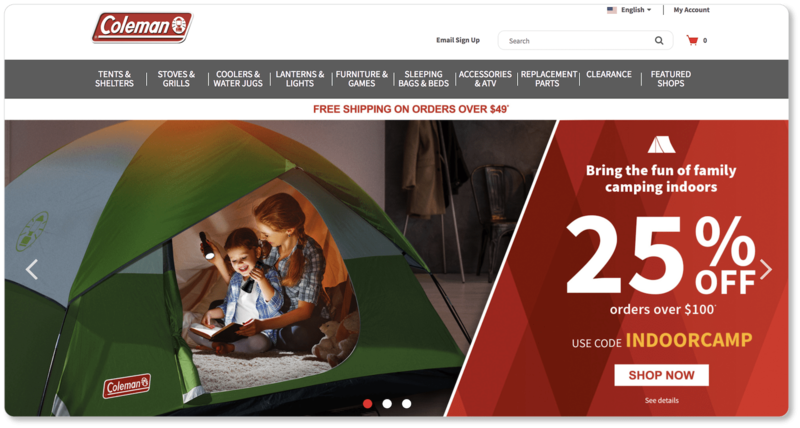 We’ll just go ahead and say it: The most important components of your retail homepage are the high-quality images you choose. Prospects won’t have the benefit of picking up, handling, and closely examining the products you offer. This can be a big disadvantage for digital stores because, as studies have shown, simply touching an object increases the sense of “perceived ownership,” which is a crucial step toward purchase. Since they can’t physically interact with your products as they would in a store, the second-best substitutions you can offer to prospects are high-quality product images that communicate the value of what you have to offer. We understand the impulse to show every product you sell on your homepage. You’re proud of your offerings, after all, and you want your visitors to see the full range of products available to them. But remember: Your homepage is your virtual storefront. 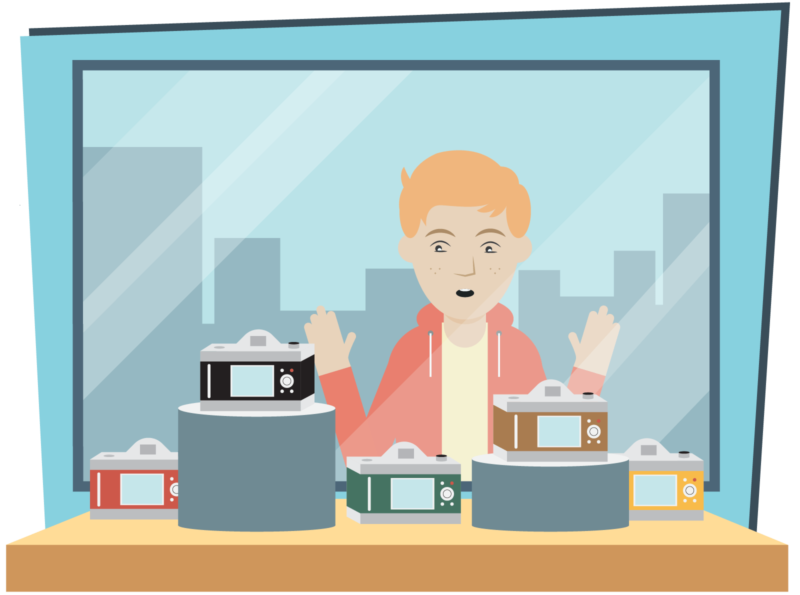 It’s where new visitors who are unfamiliar with your product offering will be “window shopping”; and you only have so much space to show them your best product and draw them in. Don’t overwhelm your visitors with images; it’ll only lead to confusion and low conversion rates. Instead, just give your newest or best-selling products the place of honor in that portion above the fold. If you design your “storefront” well, visitors will walk through that front door to see the other products you have to offer. We’ve written an entire section on homepage imagery, so we’ll keep it to one example here and let you check out that content if you want more. Whatever you do above the fold, keep it minimal below the fold. You can do this by categorizing the rest of your products intuitively, with a single title and no more than a few images for each category. By “intuitive,” we mean you’ve got to know how your prospects would categorize the products you sell. 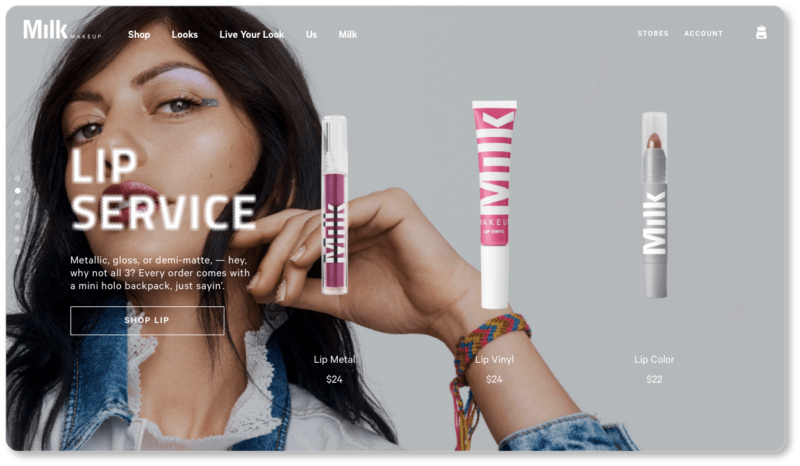 The only thing we’d do differently if we were Milk is make those CTA buttons (“Shop Award Winners,” “Shop Lip,” “See All 16 Shades”) stand out to the visitor much more than they do now. 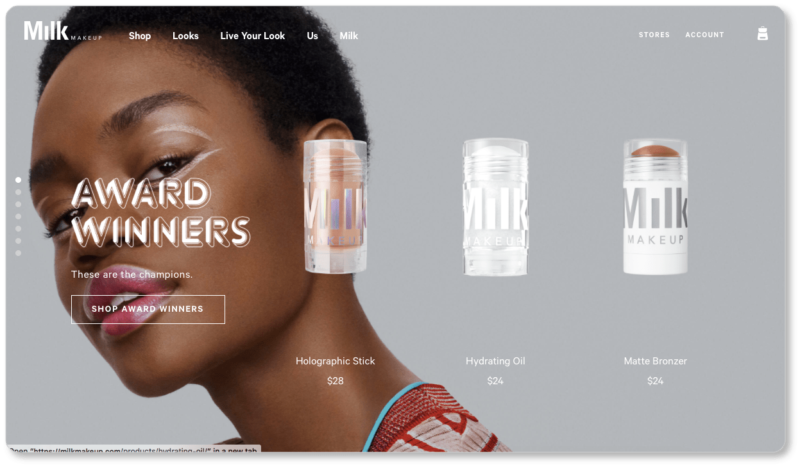 Milk Makeup offers a moderate number of main categories (six of them), and each category is displayed on their main page—although only the “Award Winners” are visible above the fold. The category images evoke the breadth of Milk’s product offering, though they don’t show everything. 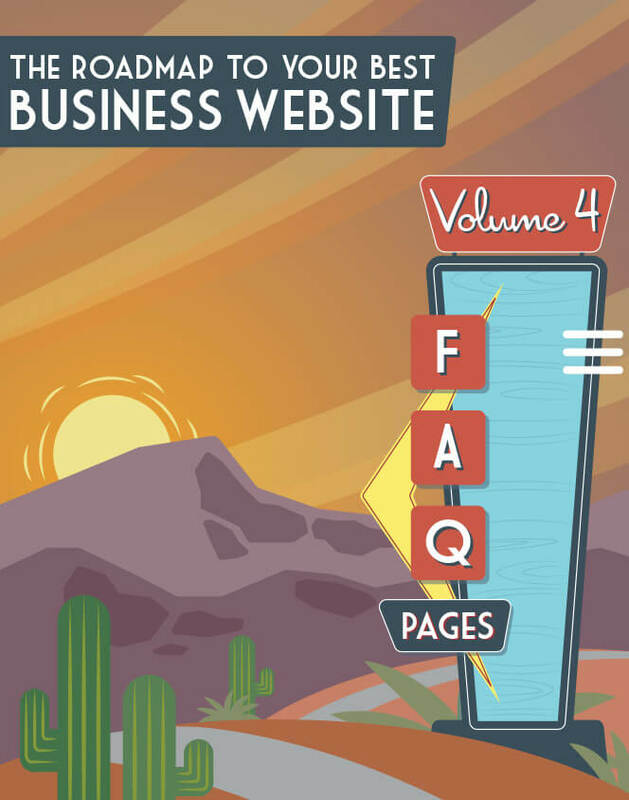 They offer clear category distinctions with lots of white space, sharp images, easy navigation, and a sense of the range of products on the other side of the category buttons. Combined, these things are a recipe for excellent design and excellent UX on their online store homepage. 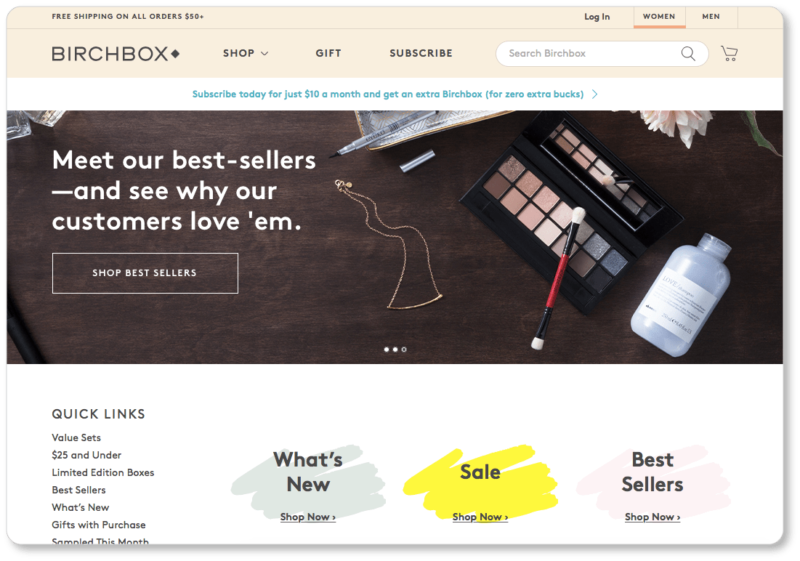 You’ll decide—depending on the range of products you offer, and then through A/B testing—how to divide your categories and how to position them on your site. Milk and Klean Kanteen are just two examples to show you the range of possibility when it comes to category presentation. Your categories will help move prospects through that sales funnel. So will a prominent, simplified, intuitive navigation bar. Make your parent categories simple, yet sufficient. The case study of the watch company Saat & Saat is worth considering: It increased conversions by 62.5% by changing the options on its menu from “Watches” to “Men’s Watches,” “Women’s Watches,” and “Children’s Watches.” After all, a product that is well-categorized is easy to get to. And the easier it is to get to, the easier it is to buy. The best way to keep your navigation simple is to have a set of broad parent categories, each with their own subcategories. (Subcategories don’t have to be confined to a single parent category.) 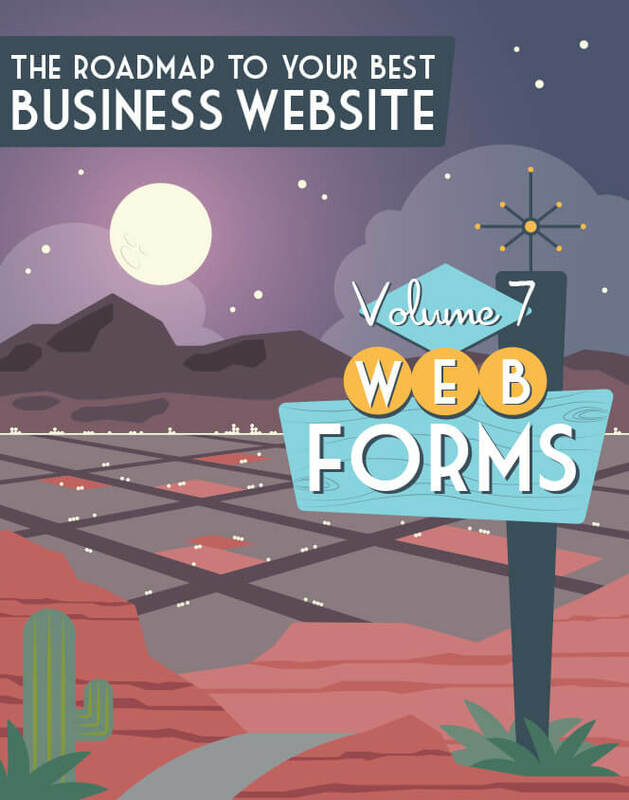 Your parent categories should be bold and stand out above the fold of your homepage. Keeping subcategories invisible until the hover ensures that the homepage remains free of clutter—and your prospects free of confusion that could initiate a bounce off your site. Only after a visitor hovers over a category at MTC Kitchen are they given a second set of categories to narrow down their search (likewise for that third category set). 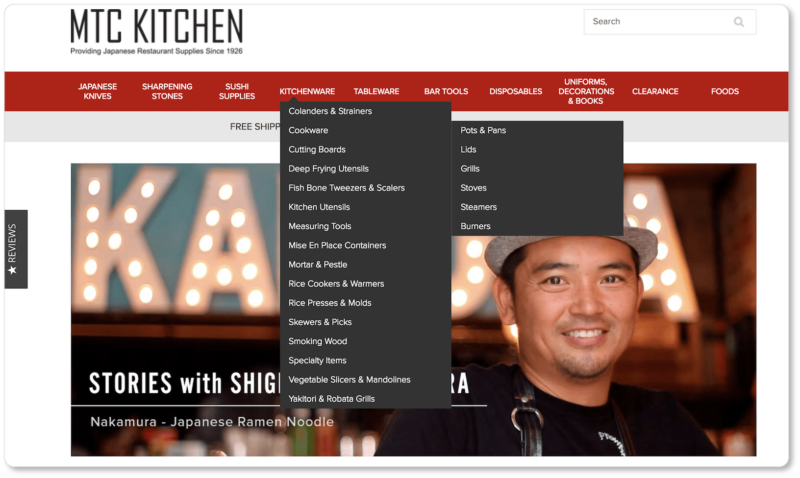 Regardless of how simple and intuitive the navigation menu is, a search function is a must for any online store. 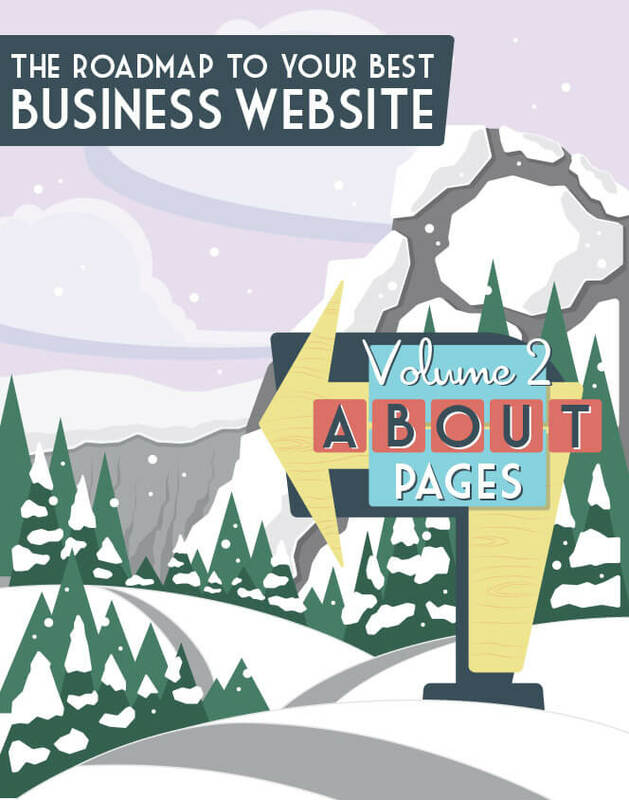 According to Econsultancy, up to 30% of your visitors will use your site’s search box. These are visitors with an intent to purchase: They’re not simply browsing; they’re on a mission for something specific. Indeed, many of the visitors who use the search box on your site know exactly the product they’re looking for, and they have no desire to navigate between categories to find it. You want the least possible amount of friction here: Let your returning customers get to the product they know they want as quickly as possible. When setting up your search, you’ll want to focus on two functionalities: Precision (that the search results are relevant) and recall (that the search function retrieves all relevant products for that keyword). Once the search function (quickly!) finds and presents all the products relevant to a search, a secondary filtering feature should be in place so your visitor can refine their search by feature, category, color, and so on. 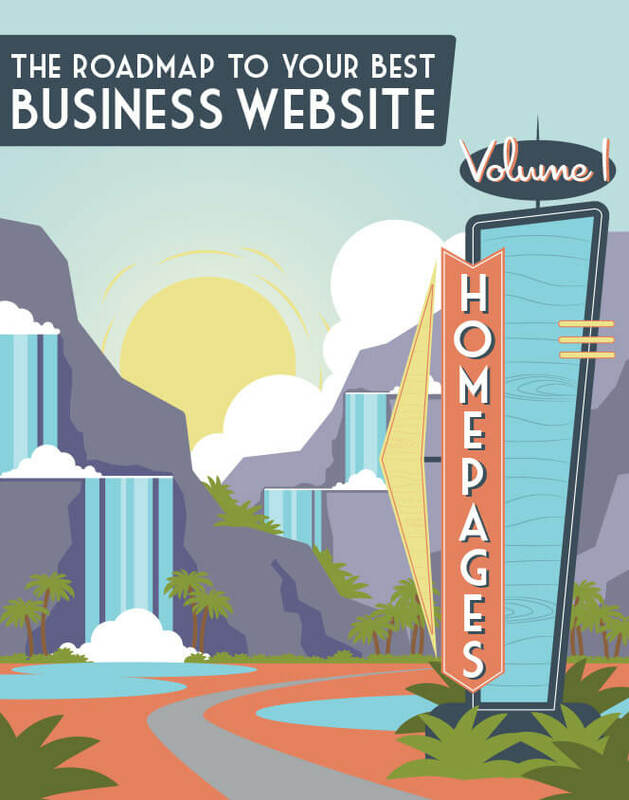 The point is that your online store homepage—specifically that real estate above the fold—should be where you promote your specials, offers, and sales. According to Statista, 64% of online shoppers will wait for items to go on sale before making a purchase. So give those shoppers what they’re waiting for—and say it loudly. You’ll also notice that UNIQLO has a standout “Sale” item on their navigation menu. We all get excited by different kinds of promotions; and showing all the ways your prospects can save money on a single page (free shipping, discounted items, promotions, and so on) will ensure that you hit every sweet spot. It will also make the bargain-hunters (those who head first toward that discount rack at the retail store) feel seen and heard, and thus particularly attached to you. Best-sellers are a form of social proof: Many of your prospects won’t believe in the quality of your products until they see that others have been willing to invest in them. A “Popular products” section is a way of putting your best foot forward. 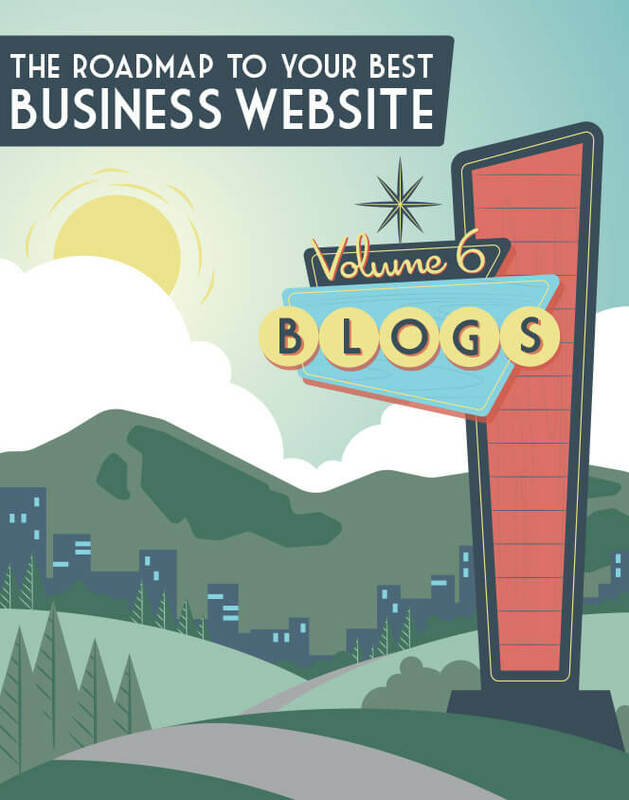 It may also cause your prospects to linger on your site a little longer. While your “Best-seller” section might cater more toward prospects, a “New arrivals” section gratifies your regular customers—the ones who are waiting on edge for your next offering. While those new products should also be placed in their individual product categories, highlighting them this way keeps your repeat customers engaged… and keeps them checking back regularly to see what’s new in your store. 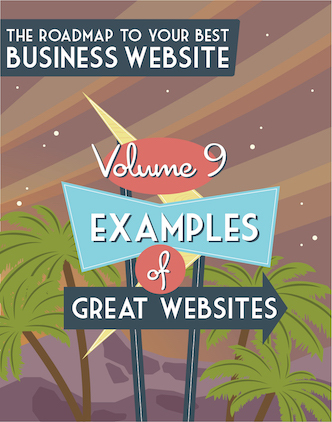 Regardless of where on the page you decide to place your best-sellers, new arrivals, sales, and deals, do make sure they’re prominent on your homepage. Denying your prospects and customers this information would be the equivalent of posting a “Sale!” sign at the back of your store, where only the customers who entered would see it. Your value proposition is your competitive advantage. 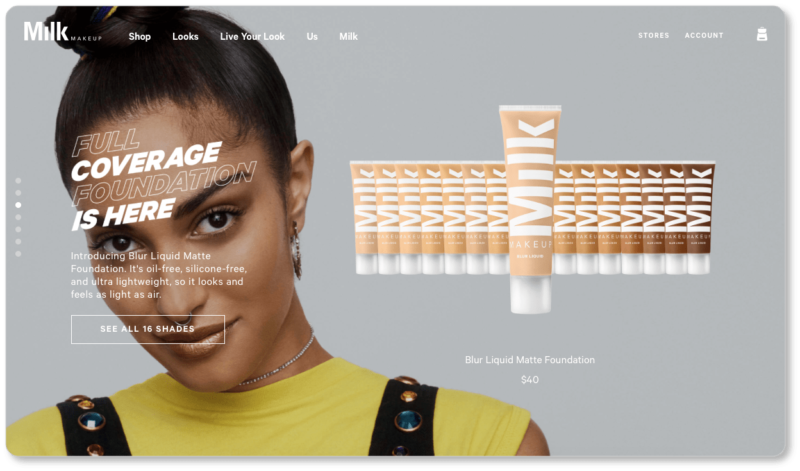 When it comes to an online store homepage, your value proposition may be about the materials your products are made of, how (and by whom) they’re made, what unique benefits they offer, or the ethical vision that prompted you to produce them. 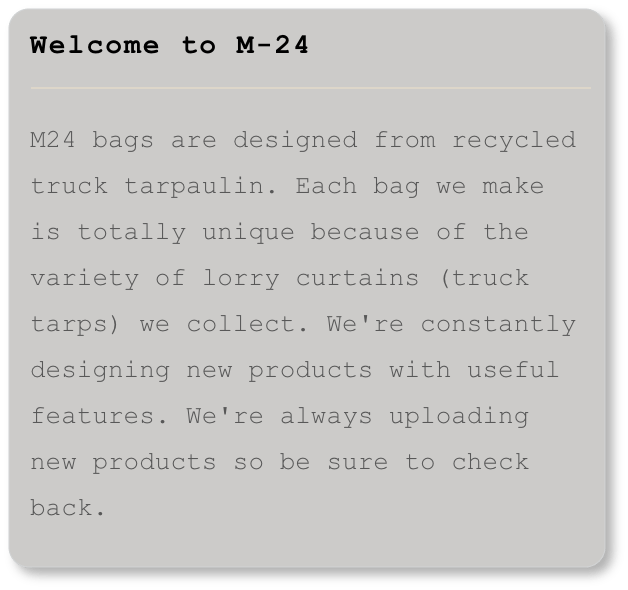 What makes M-24’s bags different from other bags is their singularity. In other words, M-24 appeals to their prospects’ desire for individuality in their value proposition. 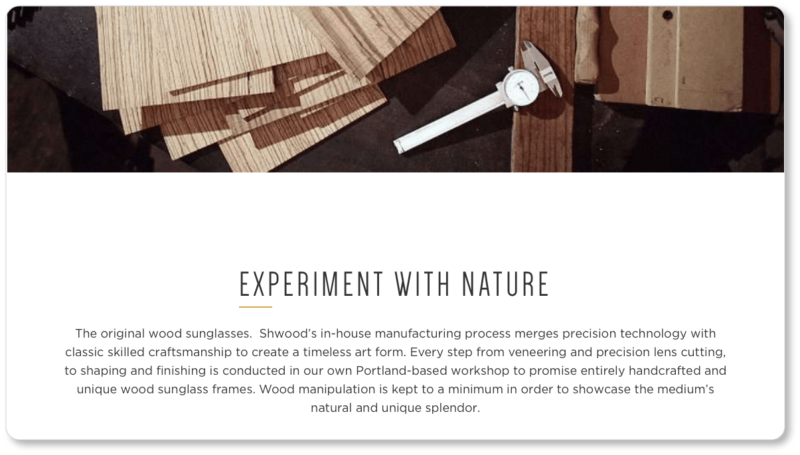 “The original wood sunglasses” is Shwood’s crisp, one-line value proposition (also stated earlier on the page), but they follow it up with detail here. Phrases like “precision technology,” “skilled craftsmanship,” and “handcrafted and unique” help Shwood describe their production process while highlighting what sets them apart from other sunglass manufacturers: Not only is Shwood the original, they’re also the most conscientious when it comes to their process. 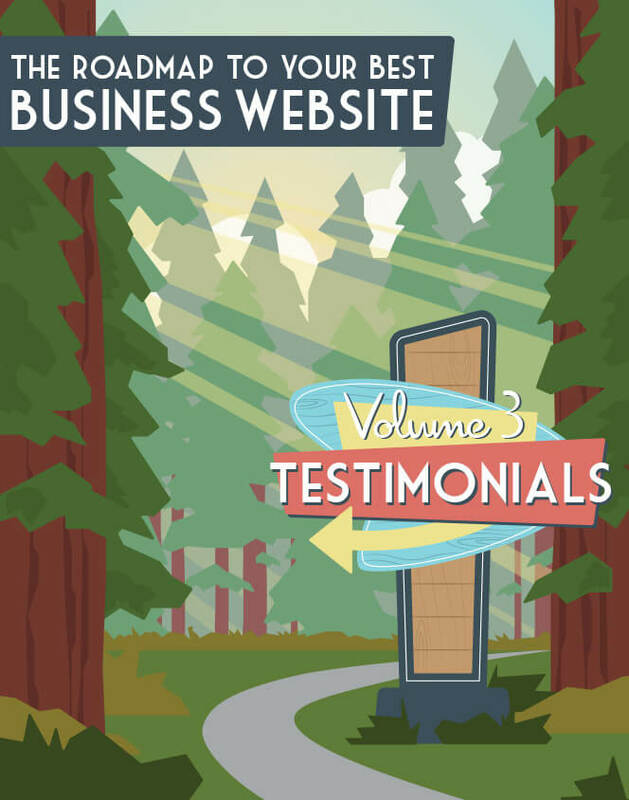 Your value proposition should be placed prominently on your homepage. Don’t make your prospects do the work of determining what makes you better. (Here’s a tip: They probably won’t.) Rather, let them know as soon as they click into your homepage why they shouldn’t bounce and head to your competitor. 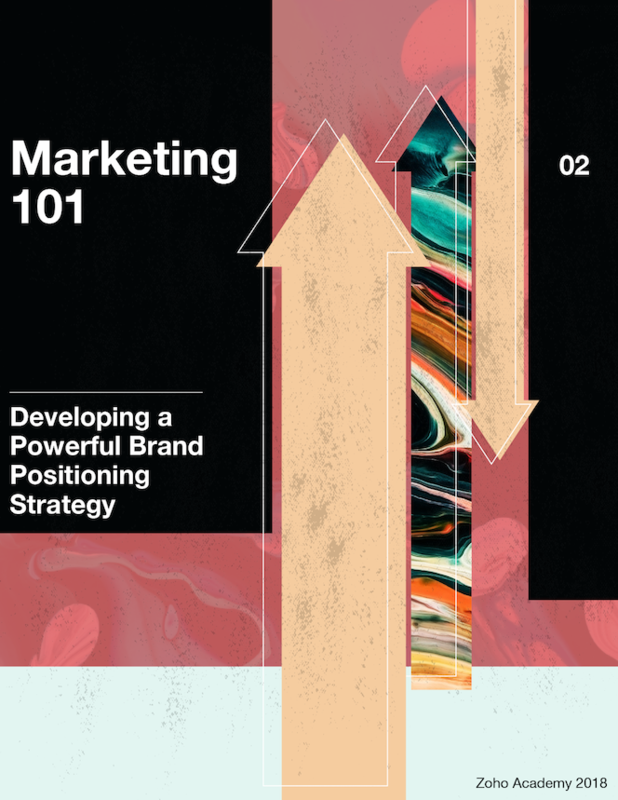 Your value proposition should be placed above the fold. And if your shipping and returns are free, that should be above the fold too. Either way, tell your visitors the truth about your shipping costs and return policy up front. Don’t make them wait until checkout to discover any hard truths. Many customers will want to know how quickly they can have items delivered and whether their packages can be tracked; your (honest) answer will play a considerable role in their purchase decision. Pro tip: Transparency is a winning strategy, so we also suggest that you display your payment methods upfront. Consider having this information on your homepage, rather than making customers wait until checkout to learn if you take MasterCard or PayPal. According to VWO’s eCommerce Cart Abandonment Report, unexpected shipping costs are the primary cause of cart abandonment. (Other studies reinforce this, though with varying numbers.) None of us likes to get hit with unexpected shipping fees at the end of a checkout: We feel like we’ve been deceived. Free shipping, on the other hand, is like having your cake and eating it too. 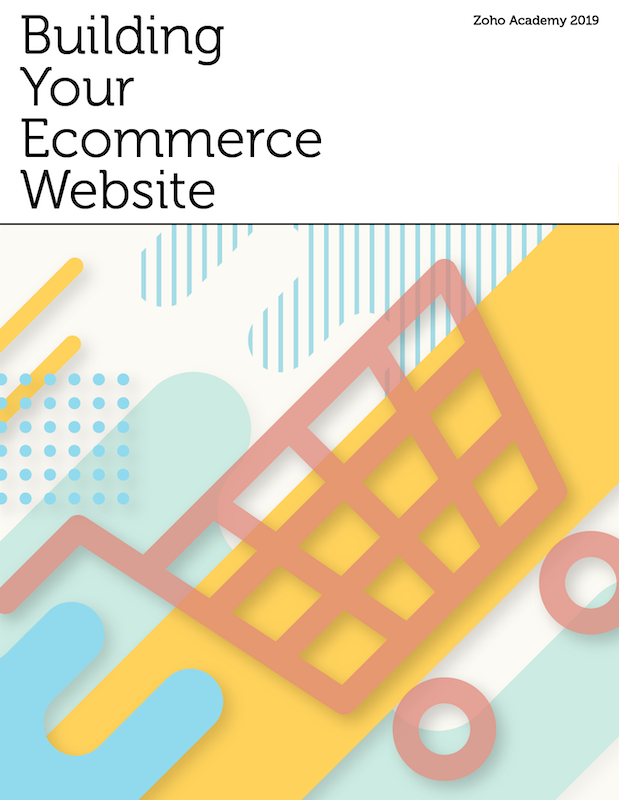 It’s bound to decrease your cart abandonments and increase your conversions. If you have a return policy, spell out how much time the customer has to make the return (30 days, 90 days, etc. ), as well as what the return cost is. Our tip? Again, free is best. When your customers see that returns are free, it reduces their risk of purchase, and will increase your conversions. 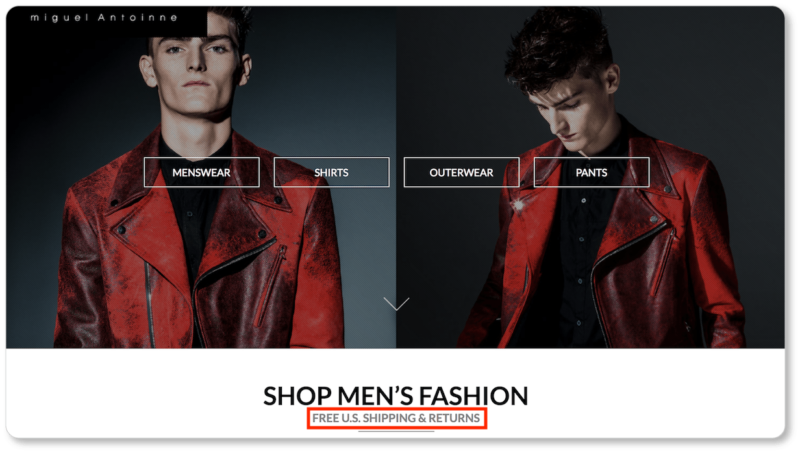 If you do offer free shipping and returns, don’t just say it loudly on your site’s homepage. Remind prospects again on each of your individual product pages. (Likewise if you offer same-day delivery.) Free shipping and same-day delivery are both unique selling points (USPs) worth shouting about. 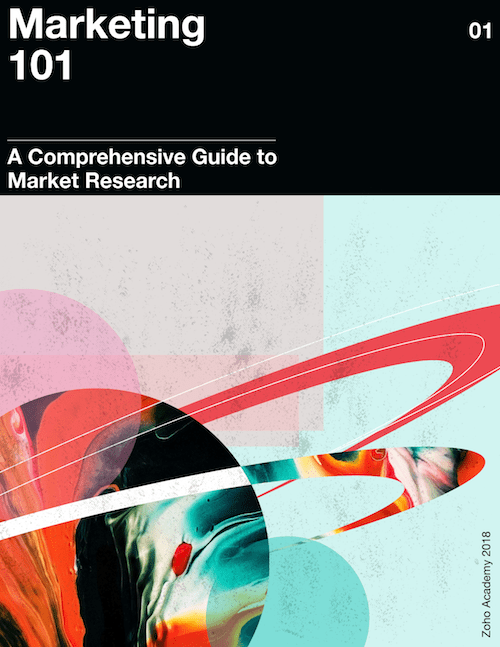 You’ve likely had the experience of spending valuable time researching, comparing, and selecting a product online, only to discover when you try to add it to your cart that it’s out of stock. We know. It’s frustrated us, too. Ensure that your customers and prospects don’t have this experience. If a product is currently unavailable, make sure your prospects see this up front. Don’t wait until the checkout page to break the bad news to them. They’ll consider their precious time wasted—and they’ll presume that you haven’t considered what their time is worth. Don’t temporarily remove out-of-stock items! Leave them there, with a message that says something like “Subscribe for updates” or “Notify me when this item is in stock.” This strategy will grow your subscriber list and create a sense of urgency for those customers when the product is back in stock: When they receive the email update, they’re likely to make that purchase quickly, rather than risk the possibility that it might soon be unavailable again. We can’t say it often enough: Good UX means happy shoppers, and happy shoppers mean increased conversions. Exceptional UX makes users feel as though they’re not even “using” your website: With almost no mental labor on their part, the product they’re looking for can be searched, found, and purchased, almost as quickly as you read this sentence. If you find that you know your own site too well to perform your own “UX check,” enlist the help of a friend or family member who has never been on your site before. Give them a product to search for—or don’t; and let them have the experience of being a “browser” on your site. Sit with them and have them talk aloud about what their thought process is as they navigate your site. Have them tell you where the hiccups are, where they get stuck, where a set of instructions doesn’t make sense, where they expect a button that isn’t there, and where they would give up and click out. Do this with one, two, five, as many people are willing to sit with you. The whole process should take no more than ten minutes; and it’ll give you a fairly reliable set of recommendations for where to start making changes to your homepage (and your product pages, and your checkout). From there, you’ll start A/B testing. But with the help of your friends, you’ll at least have a baseline sense of where to begin the work of homepage revision. 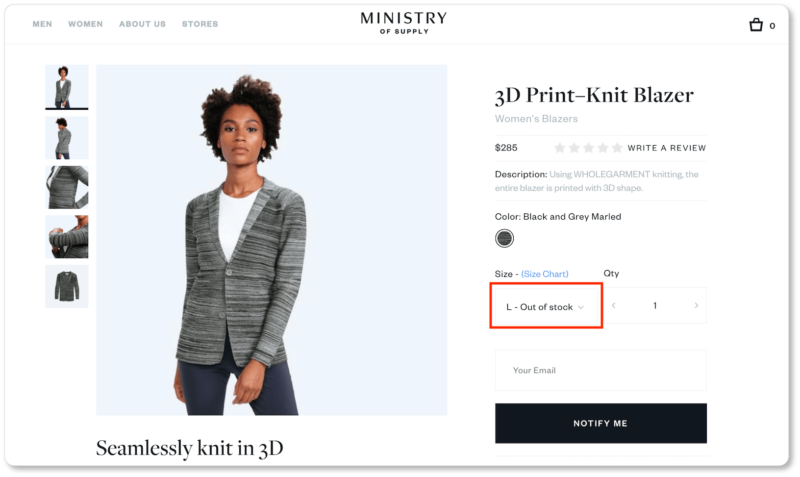 In the next section, we discuss the most important design elements of your online shop product pages, including images and videos, CTAs, and social sharing buttons. 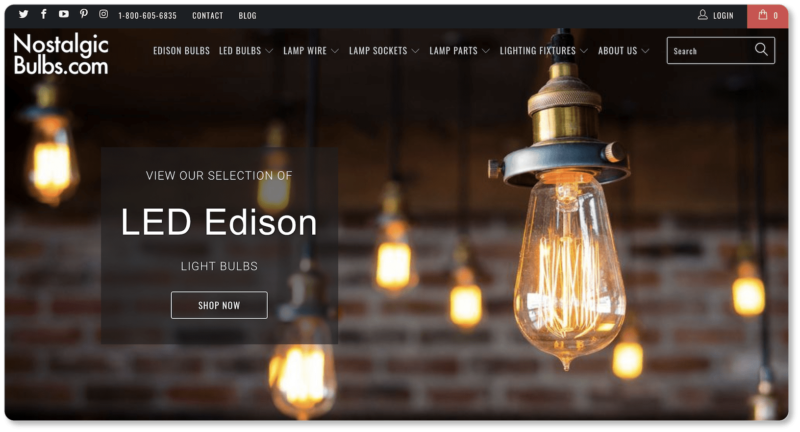 Learn how to display each of your products in all its glory, and how to increase conversions through product page design. You've got your product page design down; now product copy is the other half of the equation. Good product copy keeps customer personas in mind, while it offers details and answers anticipated questions and objections.